We service the entire state of Florida. I’ve been practicing Personal Injury Law exclusively since 1983, which puts me in a strong position to deal with such cases. With extensive experience in all kinds of Personal Injury claims, I’ve been the lead counsel in a number of cases involving, but not limited to, auto accidents, construction accidents, electrical shock incidents, slip and falls, wrongful death accidents, general negligence cases, product liability and special negligence cases. 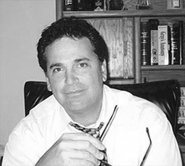 Mark Schiffrin P. A. is a Hollywood based personal injury law firm that represents injury victims throughout Florida. We pride ourselves on putting high quality, specialized care, and individual attention into your injury case. Contact us for a free consultation. Our experienced Florida car accident attorneys have extensive knowledge and experience in handling all type of automobile accident cases. We will fight for your rights and help you get the fair compensation for your damages and expenses. The experienced slip and fall lawyers at Mark Schiffrin P. A. have helped South Florida clients hold property owners responsible for slip and fall injuries. We offer dedicated support to our clients, so that they get the compensation they need. At Mark Schiffrin P.A., our South Florida wrongful death lawyers have experience in representing surviving family members who have lost loved ones in personal injury accidents due to negligence or wrongful conduct led to death. When you receive substandard medical care that costs you money or costs you your health, you deserve to be compensated for all the losses entirely. Our medical malpractice attorneys will fight to receive the fair compensation for economic and financial damages. If you or a loved one has been injured due to the negligence of someone else, contacting a negligence attorney can be vital for you. At Mark Schiffrin P. A., our lawyers will work diligently to help you recover compensation for the damages occurred. Our team of South Florida Injury Attorneys offers professional legal services, which includes all type of injury cases in Broward County extending up to West Palm Beach in the north and Miami Dade County toward the south. Personal Injury is defined as an injury to a person’s body, mind or emotions, as opposed to the injury to property. Such cases involve legal disputes arising when a person suffers bodily harm or the injury (including emotional distress) as a direct result of someone else’s actions. A Personal Injury case may be filed to hold that person responsible and can be formalized through civil court proceedings via a court judgment. Alternatively, such disputes may also be resolved through informal settlements before any lawsuit is filed, which is a more common occurrence. Why choose us as your Injury Lawyer in South Florida? At Mark Schiffrin P. A., we have always put our clients’ needs first. That is why we as a South Florida personal injury lawyers offer you an initial consultation absolutely free of cost. After discussing all the facts regarding your claim, we will then advise you on how to proceed all the while keeping your best interests at heart – even if that means advising you against filing a claim. And to prove that we are in it together, we don’t get paid unless you do. I believe in working closely with my clients, which is why I will always be accessible to you at all times, including after hours. At Mark Schiffrin P. A., you will have access to a highly professional team backed by years of experience in dealing with Personal Injury claims. As our client, you will always be kept abreast about the status of your case. You can even get in touch with me personally and I will be more than happy to answer all your questions. MARK SCHIFFRIN P.A. LAW FIRM.